This property is in an excellent location. 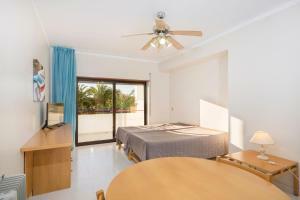 Close to amazing beaches, within walking distance to some very nice restaurants, grocery shopping and laundry services. The pool area was very nice and well maintained. I do find people are not good at cleaning up after themselves though... leaving garbage around the pool. This was a really nice week! The apartment exceed my expectations! Really really close to the beach, supermarkets, bakery. And if you want to explore some cities around you can definitely do it! For the price that we paid, this was excellent! If you want to add the breakfast, you can. Amazing buffet! Lots of options! The apartment size was great, as well as location. Great - we overlooked the children's play area. Would hate to have that unit during summer holidays though. The resort hosted events such as disco/karaoke/live concerts every evenong in the central pool. Itwas awesome. The rooms were big and nice and the staff very helpful. Sheets were changed every two days maximum. They provide a cafeteria and a restaurant so it is very practical. Reception staff very kind and friendly. She offered us free upgrade to a one bedroom apt instead of studio. Also All Inclusive can be purchased on a day by day basis at very good price. the apartment was big and clean, beds comfortable. There were a balcony in each room. Perfect place for sommer holiday with children. Swimming pool behind the house, sea 10 minutes. Self catering studio flat and able to cook.. TV Channels is impressive. Location is quiet. There is a few beaches near, and the apartment is ok for a few days. Be Smart Terrace Algarve This rating is a reflection of how the property compares to the industry standard when it comes to price, facilities and services available. It's based on a self-evaluation by the property. Use this rating to help choose your stay! 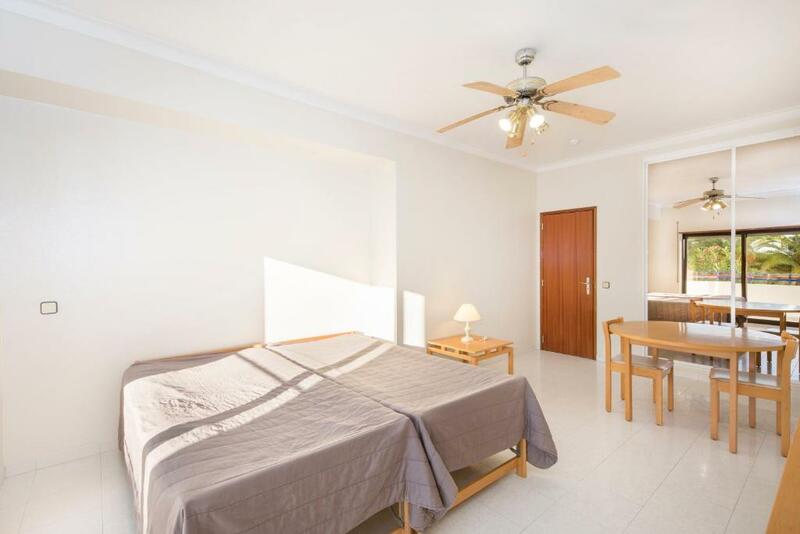 One of our top picks in Armação de Pêra.The Terrace Club features an outdoor pool and apartments with a well-equipped kitchen, just under a quarter of a mile from Praia da Nossa Senhora da Rocha. The property features a coffee shop and a buffet restaurant. All apartments are sunny and have large windows, some overlooking the ocean. Each one has an open-plan kitchen with a full-size fridge, 2-stove stove and a dining area. The coastline nearby can be explored using the property’s rental bikes or by foot. Guests can also relax with a book in the lush garden. During July and August, Terrace Club has a poolside bar and live music. Children have access to their own pool and a playground. Terrace Club is 1.5 miles from Armação de Pêra’s Fishermans’ Beach, and Faro Airport is around 50 minutes by car. When would you like to stay at Be Smart Terrace Algarve? 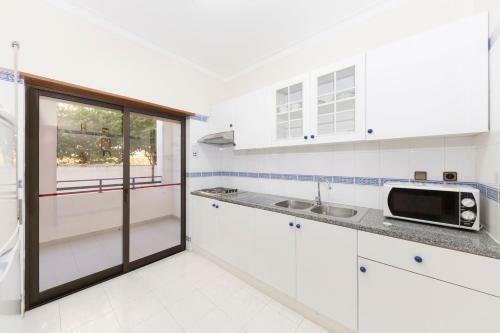 This apartment features a balcony, stovetop and tile/marble floor.